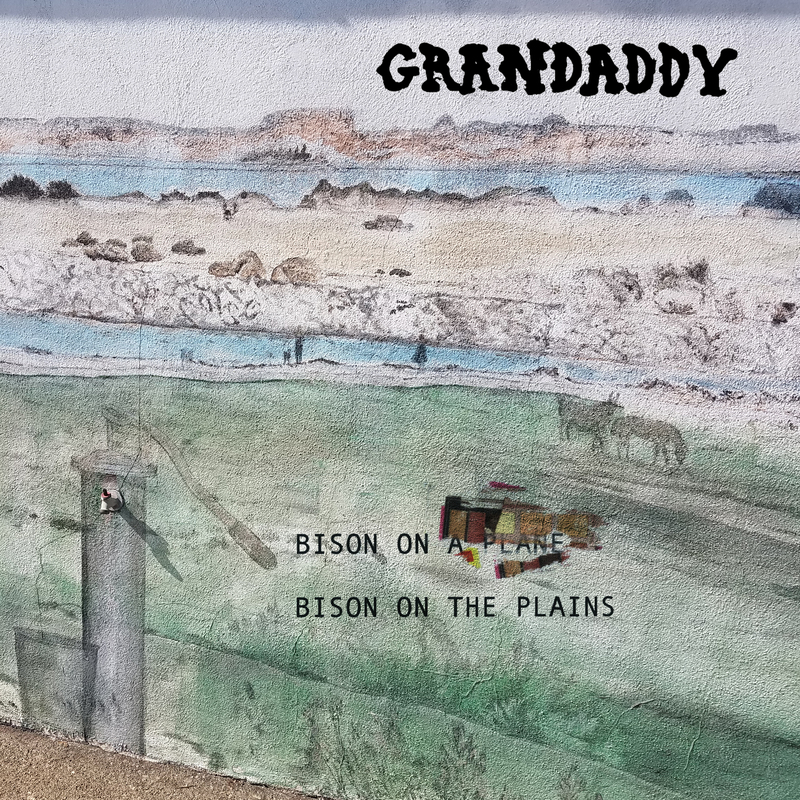 Grandaddy have shared their first bit of music since 2017 by way of a new single “Bison On The Plains”. “Setting out with the intent of replicating the ‘feel and vibe’ of the song ‘Drive’ which is one of my favorite Cars song’s …I got a little of the way into “Bison on the Plains” (BOTP) and realized I had failed.I blamed the lame new spot I had set up my studio in Portland Oregon. In the basement of some super pretentious magazine lured by cheap rent….I just really was not feeling it. I stopped working on BOTP and cursed my new studio location and immediately began disassembling everything …eventually moving out and setting up all my gear in the living room of my little house in Portland. A recent divorce and a purging of all domestic belongings/furniture made setting up all of my gear easy and convenient. This location also ended up being where I wrote and recorded most of Last Place the most recent Grandaddy album. Anyways…I thought BOTP might make the cut for Last Place but it did not. Apparently it still had some baggage carried over from whence it came. I loved the words though…and didn’t want to give up on it….so it simply got shelved in some incomplete form until I could come back and spend some more thoughtful time with it. So here it is. It sounds as if the words are about the melodramatic lengths I go to… and methods I employ… to frame an image in a song. Almost jokingly. But respectfully. Like all of the noises, sound samples, buttons, keys, circuits, wires, strings, and gear it takes for someone like me to facilitate the lonely looking image of a solitary bison standing out on the open plains. Anyway.. Im just relieved I got the song out of that dank basement and out into the light. 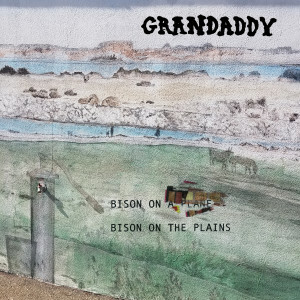 Grandaddy’s last album, Last Place, was released in March of 2017. 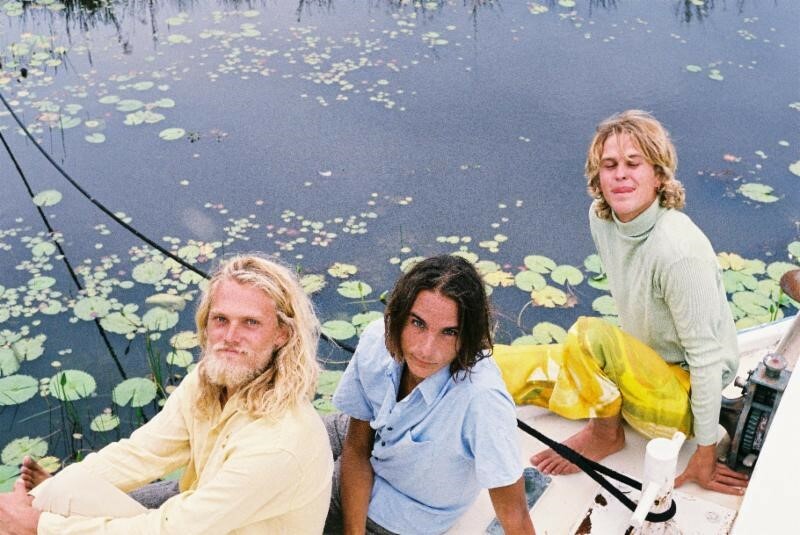 It marks a perfect addition to the band’s celebrated, critically-acclaimed catalogue, that includes their breakthrough sophomore album, Sophtware Slump, and their debut, Under the Western Freeway. 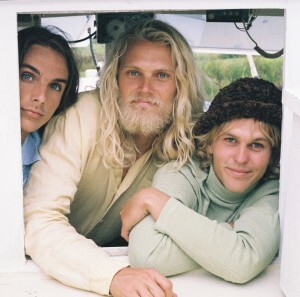 It’s a symphonic swirl of lo-fi sonics and mile-high harmonies, found sounds and electronics-gone-awry mingling with perfect, power pop guitar tones. Lytle’s voice sounds as warm and intimate as ever, giving graceful levity to the doomsday narratives that have dominated the Grandaddy output. 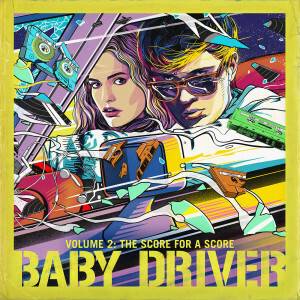 Featuring even more gems from almost every musical genre and spanning across multiple decades, Baby Driver Volume 2: The Score For A Score was released today via 30th Century Records / Columbia Records. The album features more memorable songs from the movie, exclusive tracks and special remixes that mirror the unique experience of the movie as well as dialogue excerpts from the film, and the unreleased score by Oscar winning composer Steven Price. Also included is TaKillYa (Baby Driver Mix) – an original track exclusive to the soundtrack release here. Stream and purchase Baby Driver Volume 2: The Score For A Score here. This special album follows Music from the Motion Picture Baby Driver, the 30-song soundtrack from Edgar Wright’s critically acclaimed, music laden blockbuster film Baby Driver. The fast-paced soundtrack garnered two Grammy Nominations – including for Best Soundtrack – and sat atop the #1 chart position on iTunes. The soundtrack can be purchased both physically as a two LP and two CD set, as well as digitally across all retailers. Written and directed by Edgar Wright, Baby Driver tells the story of Baby, a talented, young getaway driver who relies on the beat of his personal soundtrack to be the best in the game. For more information on Baby Driver, fans can visit @BabyDriverMovie across Facebook, Twitter and Instagram. Since launching in December 2015 with the release of 30th Century Records Compilation, Volume I, Danger Mouse’s 30th Century Records, the imprint in collaboration with Columbia Records, has already built an impressive roster, releasing albums by Autolux, Sam Cohen, Maybird, Big Search, Dams of The West, Grandaddy, The Babe Rainbow and most recently Daniele Luppi & Parquet Courts. Additional projects include the ambitious accompanying soundtrack for the acclaimed Amazon Original Series “The Man In The High Castle,” Resistance Radio: The Man In The High Castle Album which features everyone from Beck, Michael Kiwanuka, The Shins, Sharon Van Etten, + more, all covering songs from the early 1960s, and Music From The Motion Picture Baby Driver, the 30-song soundtrack for Edgar Wright’s blockbuster, music-laden film featuring gems from almost every genre and spanning across multiple decades, which also included an original song by Danger Mouse, Chase Me – featuring Run The Jewels and Big Boi. Featuring even more gems from almost every musical genre and spanning across multiple decades, Baby Driver Volume 2: The Score For A Score will be released on April 13, 2018 via 30th Century Records / Columbia Records. The album features more memorable songs from the movie, exclusive tracks and special remixes that mirror the unique experience of the movie as well as dialogue excerpts from the film, and the unreleased score by Oscar winning composer Steven Price. Available today for the first time is TaKillYa (Baby Driver Mix) – an original track exclusive to the soundtrack release here. Just released, the new video for “Monky Disco” by the Australian psychedelic warriors The Babe Rainbow. 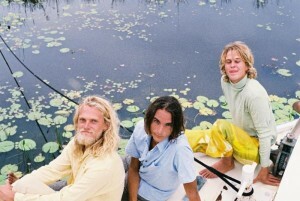 It’s a groove-filled, hypnotic odyssey of a track, and the video does it justice! Monky Disco: THE MOVIE was written and directed by the famed visual artist S.L.Kristofski & Babe Rainbow in conjunction with the Y.P.S.M.C (Young People’s Society of Music for Chameleons). The dazzling video for “Monky Disco” comes on the heels of September’s release of the band’s debut, self-titled LP. Released on Danger Mouse’s, 30th Century Records. The Babe Rainbow was produced by King Gizzard and the Lizard Wizard’s psychedelic mastermind, Stu Mackenzie. 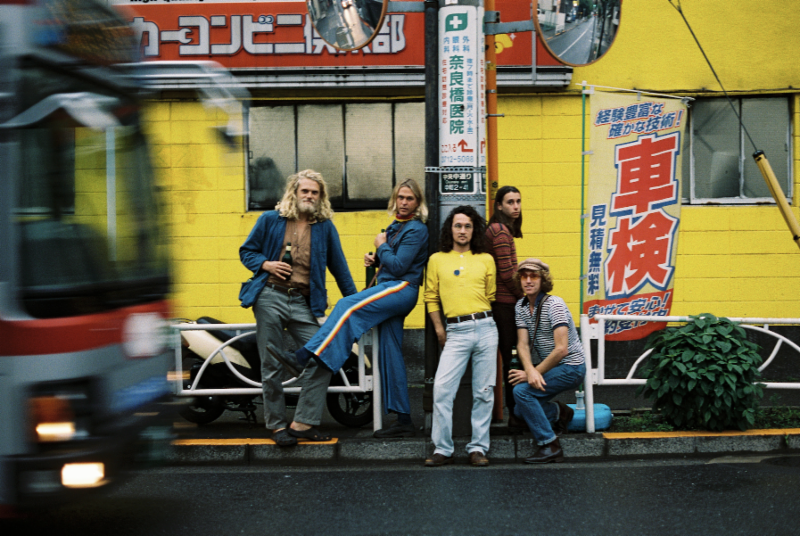 You can watch videos for album tracks “Johny Says Stay Cool,” “Peace Blossom Boogy” and “Losing Something.” More information here and album stream here. Commissioned by Nowness, Pretty Prizes is directed by Barnaby Clay (TV On The Radio, Gnarls Barkley, Yeah Yeah Yeahs), stars French singer-songwriter, musician and actress, SoKo and is shot in Los Angeles. The song features Yeah Yeah Yeahs vocalist Karen O, and is taken from Italian musician Daniele Luppi and New York band Parquet Courts’ MILANO – a collaborative concept album inspired by mid-1980s Milan and the misfits, fashionistas, outsiders and artists of the city. MILANO is out now on Danger Mouse’s label, 30th Century Records, and was recently included in Rough Trade’s top 20 Albums Of The Year. Instigated by Producer and Artist Daniele Luppi, MILANO is a concept album, complete with songs that are fictionalized stories about misfits, fashionistas, outcasts and junkies in mid-1980s Milan. To help deliver this vision of an emerging youth culture struggling to be heard amidst the rapid gentrification of the city, Luppi teamed up with New York band Parquet Courts and Yeah Yeah Yeah’s vocalist, Karen O, who features on several tracks. MILANO can easily be seen as the final volume of Luppi’s Italian album trilogy, sealing an expansive love letter to his homeland’s famed arts and culture. Whereas his last two records, An Italian Story and Rome, pay homage to iconic grooves by The Marc 4 and soaring Spaghetti Western-era film scores, Luppi’s newest effort examines the gritty 1980’s New York Punk scene and its influence on Milanese music, fashion, and high-art. 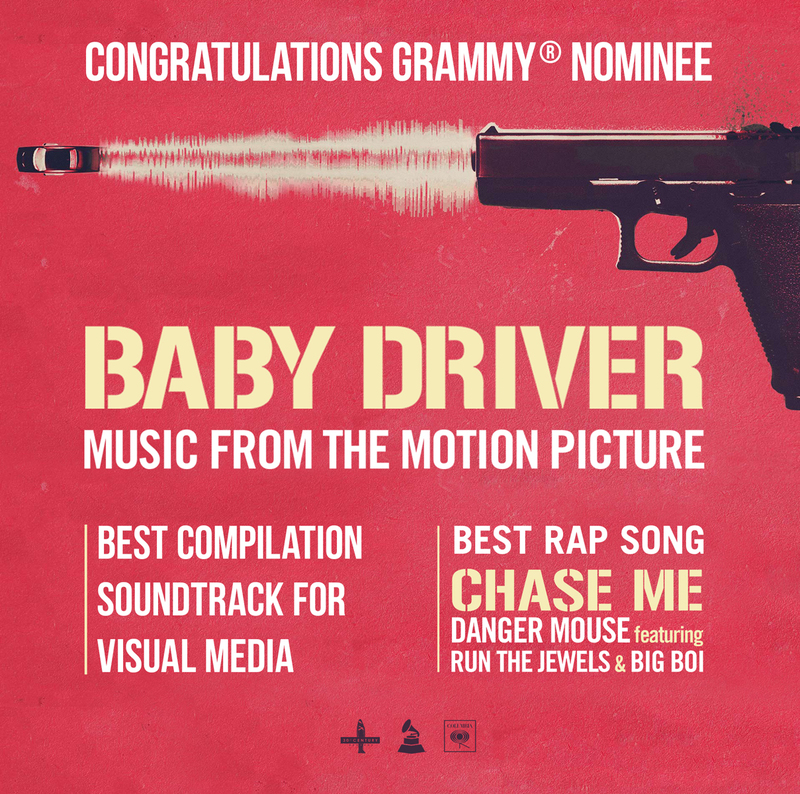 Baby Driver has garnered two Grammy Award Nominations: Best Rap Song for “Chase Me” and Best Compilation Soundtrack for Visual Media. The 30-song soundtrack for Edgar Wright’s Baby Driver features gems from almost every musical genre and spanning across multiple decades. 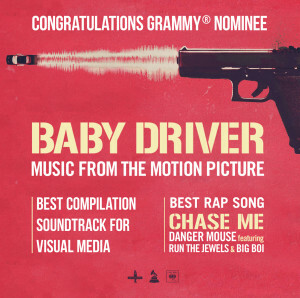 Music From The Motion Picture Baby Driver was released on June 23 via Award-winning producer and artist Danger Mouse’s Columbia Records imprint 30th Century Records. The soundtrack is available both physically as a two LP and two CD set, as well as digitally across all retailers. 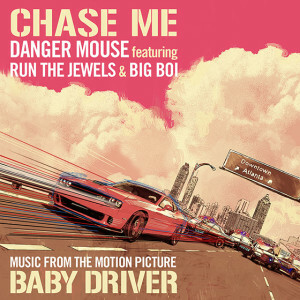 Watch the video for Danger Mouse’s “Chase Me” featuring Run The Jewels and Big Boi here. 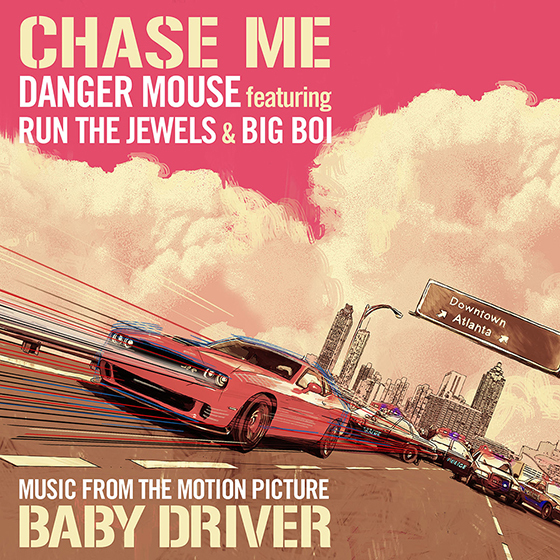 Danger Mouse’s single “Chase Me” with Run The Jewels and Big Boi is out now on vinyl. Find it now at your local independent record store. 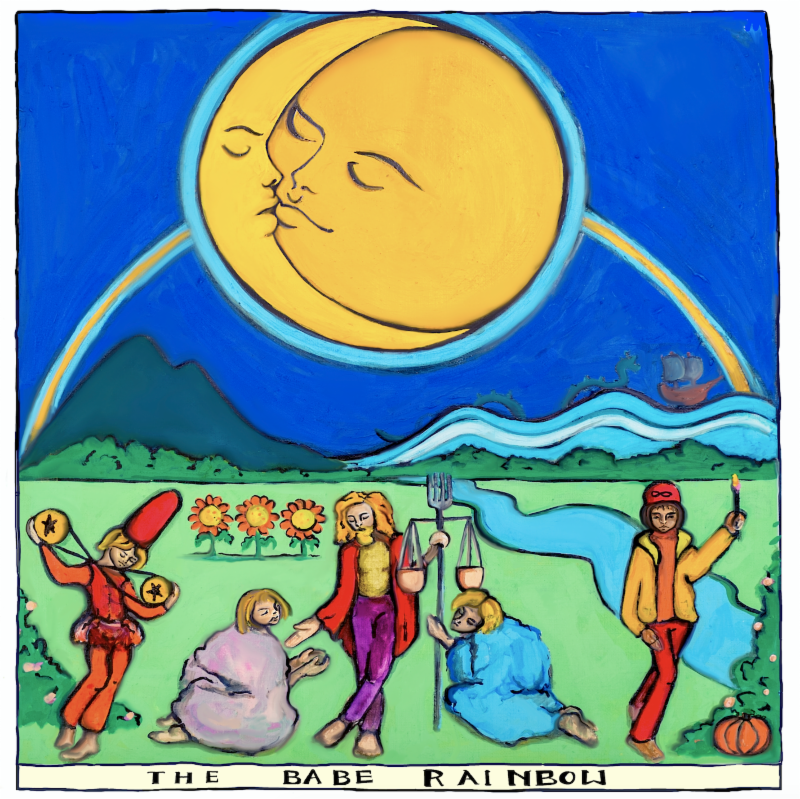 In support of The Babe Rainbow LP the band toured North America playing to packed houses from coast to coast including a sold-out stop at Brooklyn‘s Baby’s All Right and a much-talked-about slot at the Desert Daze Festival. With today’s remix they announce dates for a 2018 headline UK tour followed by European shows – all dates below. Producer and artist, Daniele Luppi, has released his album MILANO on Danger Mouse’s 30th Century Records. MILANO is a concept album, complete with songs that are fictionalized stories about misfits, fashionistas, outcasts and junkies in mid-1980s Milan. 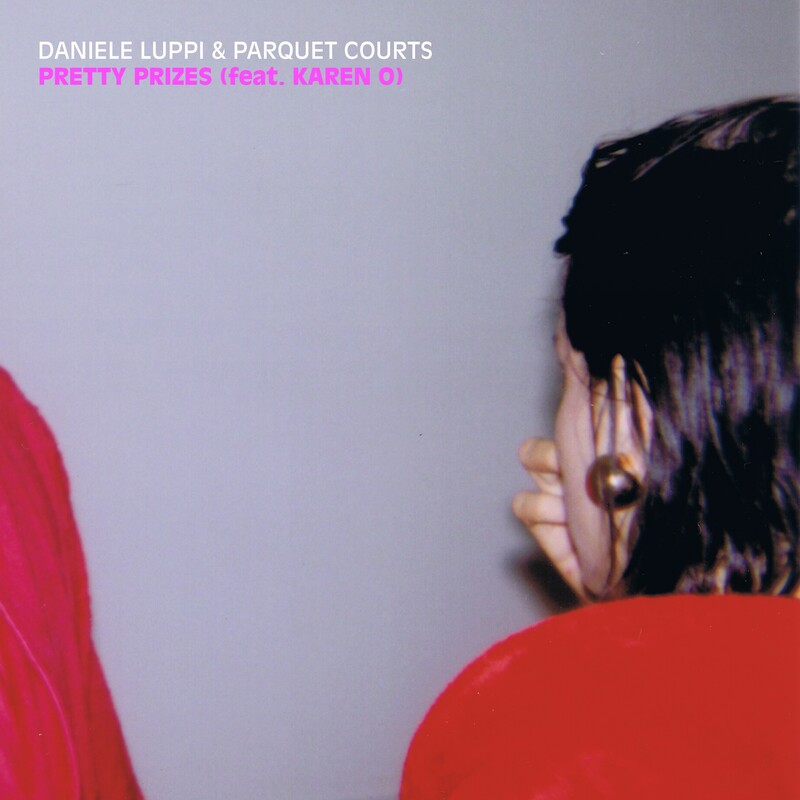 Daniele teamed up with Parquet Courts and Yeah Yeah Yeah’s vocalist, Karen O, to help deliver his vision of an emerging youth culture struggling to be heard amidst the rapid gentrification of old Milan. Standout tracks from MILANO include Daniele & Parquet Courts “Soul and Cigarette” a jaunty, springy tune that belies its more sinister, saddened backstory of artistic struggle, as well as “Talisa” featuring Karen O, an electric track that serves as a love letter to Talisa Soto, a celebrated model, actress and close friend and muse of Gianni Versace. This is also rounded out by the flirty “Mount Napoleon”. MILANO can easily be seen as the final volume of Luppi’s Italian album trilogy, sealing an expansive love letter to his homeland’s famed arts and culture. Whereas his last two records, An Italian Story and Rome, pay homage to iconic grooves by The Marc 4 and soaring Spaghetti Western Era film scores, Luppi’s newest effort examines the gritty 1980’s New York Punk scene and its influence on Milanese music, fashion, and high-art. Since launching in December 2015 with the release of 30th Century Records Compilation, Volume I, Danger Mouse’s 30th Century Records, the imprint in collaboration with Columbia Records, has already built an impressive roster, releasing albums by Autolux, Sam Cohen, Maybird, Dams of The West (featuring Vampire Weekend drummer Chris Tomson), and the album Last Place by Grandaddy. The most recent project for the Label and Danger Mouse was the ambitious accompanying soundtrack for the acclaimed Amazon Original Series “The Man InThe High Castle,” Resistance Radio: The Man In The High Castle Album which features everyone from Beck, Michael Kiwanuka, The Shins, Sharon Van Etten, + more, all covering songs from the early 1960s.